£10 Tesco eGift Card for £5! Groupon is an international American e-commerce marketplace where it connects its subscribers with local wholesalers by offering a wide range of product which includes activities, travel, goods and services in more than 28 countries. It was launched in November of 2008 and its headquarters are located in Chicago, Boston, New York City and Toronto. As of 2015, Groupon is available in about 500 cities across North America, Asia, Europe and South America and boasts almost 48 million registered subscribers and active customers with over 425,000 active international deals. Groupon is redefining how small scale businesses entice and retain customers by providing them with marketing tools and services that are both customisable and scalable to monetize their business’ growth. 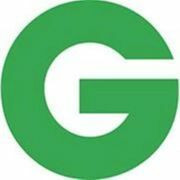 Groupon.com offers a massive mobile and online marketplace where people can discover as well as save on wonderful things to do, see, eat and buy. Shoppers can take advantage of finding the best things a city has to offer by allowing real-time commerce across local businesses, travel destinations, consumer products and live events. In addition, the company has the Groupon Promise which ensures that their customers are satisfied with their purchases and if they are disappointed in any way with their purchase, Groupon will try to work things out with the customers or offer them with a refund. Here at LatestDeals.co.uk you will find the best and the latest Groupon.co.uk sales, discounts, voucher codes and coupon codes shared every month by our generous community of bargain hunters! Groupon.co.uk helps millions of people every week get the most out of their city. With Groupon, make huge savings on a whole range of experiences including baking classes, dining out, relaxing massages and everything in-between. Local: Enjoy up to 70% savings in your locale with local deals - Enjoy your locale with coupons for restaurants, wellness, shopping, leisure and more. Goods: Shop Groupon Goods first for discounts on designer brands, electronics, everyday essentials, and fun finds delivered right to you. Getaways: Daily deals of up to 70% off on hotels and amazing destinations. Events: Check out deals and discounts in the UK. Groupon is an easy way to get huge discounts while discovering fun activities. Discount Codes: Save up to 70% with their coupons and vouchers. How do I contact Groupon? Other then that, Groupon is a bit tricky to get hold of directly! What are the delivery options for Groupon? Groupon Goods charges £1.99 for delivery as standard. This is usually displayed separately from the price. Sometimes there are free delivery voucher codes so it is worth checking in the voucher section. There's also a discount for first time customers which can off-set the delivery cost. Again, look in the voucher section. For Groupon Local, and event based purchases, there is no delivery as you go to the venue. Tickets will be sent digitally and for free via email and the Groupon app. How do I return an item to Groupon? Log in to your Groupon account and go to the My Groupons tab. Find the order you want to return, click on View Details and then click on Return Package. Select an option from the Reason for return menu and then add any additional information in the Returns details box. Click Continue and then Print Shipping Label to print the return shipping label. Follow the instructions on the shipping label and place the label outside your package. You have 14 days after you receive the product to return it. You should return an unwanted or faulty product as soon as possible. "You are responsible for the return shipping costs of the product." Unwanted products must be returned unused and in good condition. You must take care to ensure that the product is properly packaged so that it will not be damaged while in transit. If the product is found to be used beyond what it takes for you to reasonably inspect it or damaged, then Groupon may reject a refund. To celebrate the very best in London cuisine, Groupon partnered with celebrity chef and restaurateur Simon Rimmer to give you a taste of some of the capital’s most loved dishes which you can make in your own home.